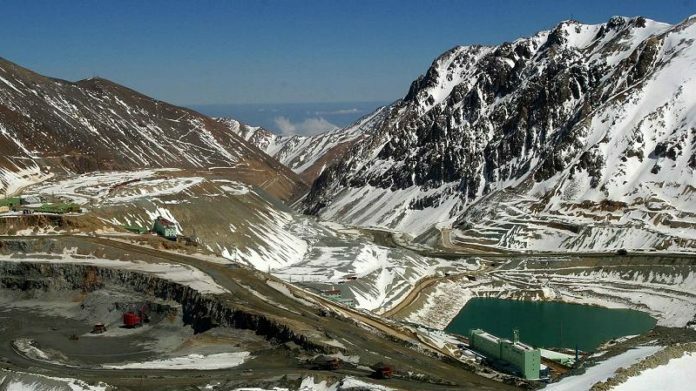 ANGLO American said it would bin the $3bn expansion of its Los Bronces copper mine in Chile if “… the public protests against it”, said Bloomberg News, citing Henni Faul, who heads the UK-listed mining group’s copper business. Los Bronces, the largest copper mine operated by Anglo, will decline in five years as ore grades decrease. The output expansion at the site, which has been mined for over 150 years, could take annual production from 369,500 tons last year to about 400,000, said Bloomberg News. The company plans to use new technology to increase efficiency and to dig underground tunnels to avoid impact on the nearby glaciers. “We’ve been working on this for six years and we trust we have the best scientific input,” Faul said. “If the public protests against it, we can’t take that forward,” Faul said. “We can’t force anyone’s arm,” he said.